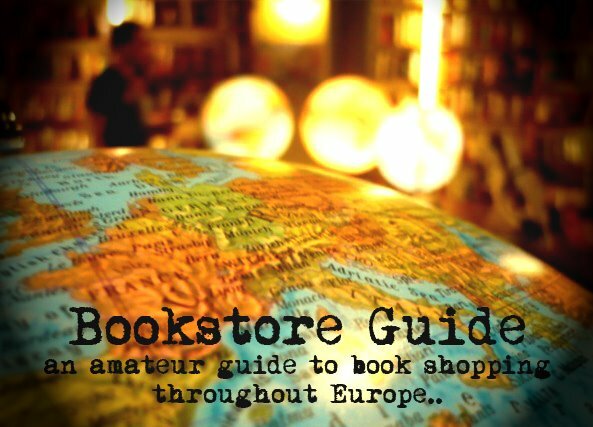 During our recent visit to Poland, we made several stops at several bookstores - some of them we already had a knowledge of, some of them were the new ones which are yet to be added to the Guide. We were unfortunate enough ('unfortunate' strictly from the Bookstore Guide point of view that is...) to be in Warsaw during the New Year Eve's holidays so none of the bookstores' doors were open to either us or anyone else. However, we peeked through the windows of one of the American Bookstore shops and a couple of days later, we actually visited one in a mall in Krakow - and were pleasantly surprised by the selection of books and their prices, having expected them to be higher (most of the books that we held in our hands were in the 'around the acceptable 10 euros' category). Perhaps one of our bigger disappointments was not visiting the Tarabuk bookstore in Warsaw but we already knew that no shops would be open by the 2nd of January. Alas, our next stop (Krakow) was far from a disappointment. The notable Massolit bookstore left us speechless as we entered its door. Once you enter, there is a map (provided right here as well) because one indeed needs a map to find one's way among all those books. We had a small chat with Martin, an employee of the store, who told us about the bookstore in general and also recommended the sections which according to him deserved our special attention. Then we went on to browse and browse the infinite number of books, climbing onto ladders to reach the top shelves. We left with a couple of books - among which was Irvin D. Yalom's 'Love's Executioner' - a book we thought we'd never find - for only 24 zloty (some 7 euros). Most of the books were new, though we had expected to find more second hand books - but all of those new books seemed to be cheaper than in other bookstores. All in all, Massolit is a unique bookstore, which is worth a visit even if visiting bookstores is not on your "things to do in a foreign city" list. Its atmosphere is special, a combination of a lively café, a serious academic bookstore, a cozy used books den, a public library and every book-lover’s dream flat – all mixed up into a cocktail of impressions that make it almost impossible to leave once you enter and perfectly impossible to leave without at least one book under your arm. Check out our Reports from other European cities. Do you know this really great small book store , MESITA CAFE in warsaw? THAT a really great one ..